West of Ireland Cardiac Foundation funds the first Cardiac Diagnostic Angiography Unit in the region. First CEO appointed and Croí name and logo launched. Croí funds West of Ireland Cardiothoracic Surgical Unit at Galway University Hospital. 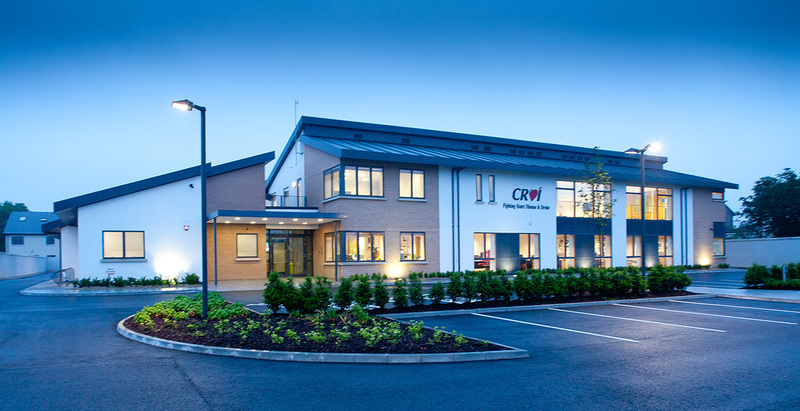 Croí launches ‘Centre for Life-Saving Training’ providing CPR and AED training throughout the west. First open-heart procedure performed in the West’s new Cardiothoracic Surgical Unit at Galway University Hospital. Croí campaigned for the facility to be established in the west of Ireland and contributed €1m to the capital costs. Croí unveils plans for the Croí ‘Heart & Stroke Centre’, Ireland’s first dedicated community heart health & wellness centre. Ray Rooney, Kieran Daly & Neil Johnson received ‘People of the Year’ Award. Croí launches MyAction – Irelands’ first cardiovascular risk, lifestyle and behaviour change programme targeting those at greatest risk of Heart Attack, Stroke & Diabetes. MSc & Diploma in Preventive Cardiology launched as a collaboration with National University Ireland Galway. Irish Times Editorial Tuesday October 11th 2016 commends Croí’s MyAction programme outcomes report. Celebrates the 10th anniversary of first open heart procedure at Galway University Hospital.